After many months of drowning in cardboard boxes and flat pack our new house is almost completely furnished and it's a wonderful feeling! 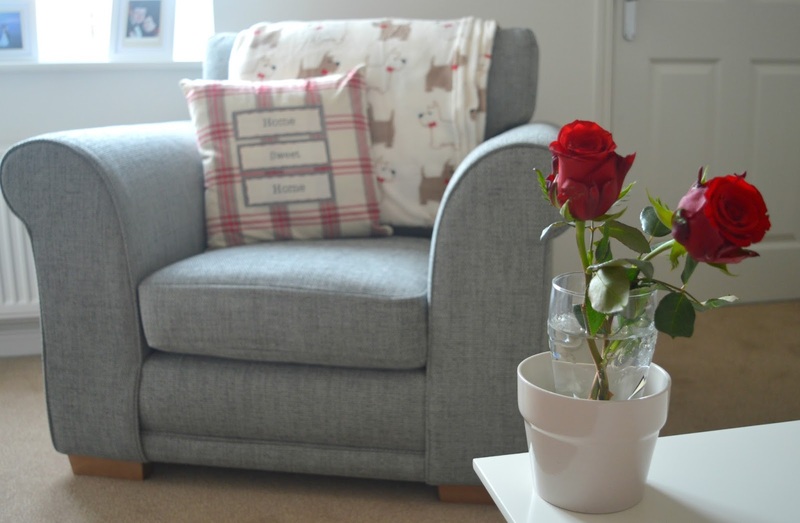 However we realised once we'd finally crashed on our new sofa that there was definitely something missing - those comfy little trinkets that make a house feel like a home. Luckily George at Asda came to the rescue, offering us a few bits from their gorgeous home collection to make our house feel lovely and cosy. George have recently launched their new Autumn/Winter collection, drawing inspiration from across the world and creating a range of homeware that's not only affordable but looks amazing. We decided to furnish our living room with the Artisan collection which is inspired by New England and full of handmade crafts and homespun props. The pieces in the Artisan collection have a warm and cosy feeling with lots of reds and browns, perfect for the Autumn/Winter season. When I unpacked our box of goodies it was the cushions that I probably got the most excited about. Our poor sofa has felt a little unloved since it arrived and placing our gorgeous new cushions on the seats instantly made it look beautiful. 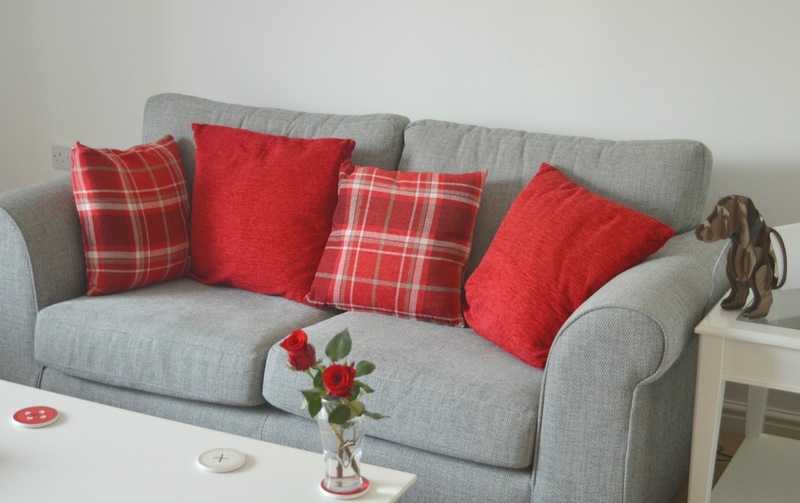 I am in love with the deep red and tartan designs which brings the wonderful homely feel of New England to our little house in Newcastle. Most of our time in the lounge is spent drinking tea so the cute as a button coasters were just what we needed to add some colour to our coffee table. They also do matching glasses - yes I'm tempted! Next weekend, the future Mother in Law is coming to visit. She's the first guest we'll be welcoming to our home so I've really enjoyed making our guest chair feel snuggly. 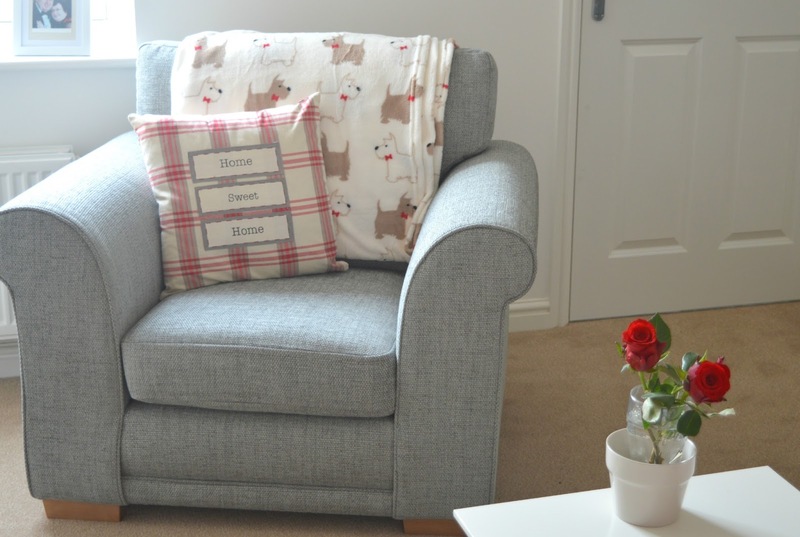 The "Home Sweet Home" cushion is so inviting and I couldn't resist the fluffy dog print throw. 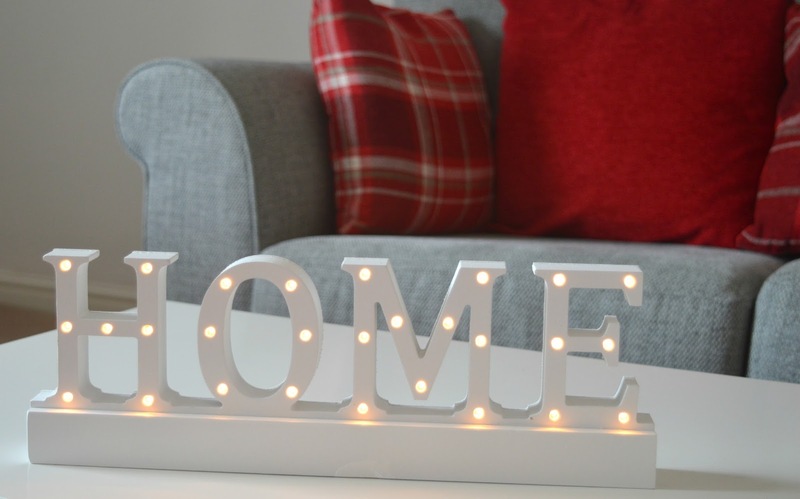 To add a bit of a warming glow to our living room now that the dark nights have arrived we love our wooden light up "Home" sign which sits on top of our TV unit and keeps the room feeling extra cosy. ... and the House Tealight Holder is going to be the perfect addition to the room now that candle season has arrived. 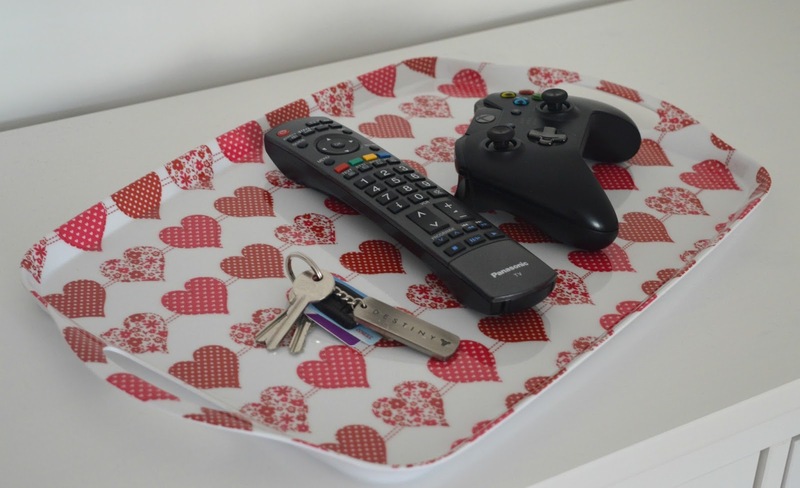 Our last pick was this really cute tray which we've decided to keep in the lounge. Perfect for fetching cups of tea or, in our case, somewhere pretty to dump the bits and bobs that seem to clutter up the coffee table. I am so impressed with the quality of our goodies, and I already have my eye on several things from the George Homeware Christmas Collection! All of these lovely things are part of the current Autumn/Winter collection and are available to buy now - what have you got your eye on? The candles are so cute, I'm always a sucker for things like that! Especially since the temperatures are finally dropping, I like to have a candle set up in my room as soon as I get home. Congrats on finishing a successful move! 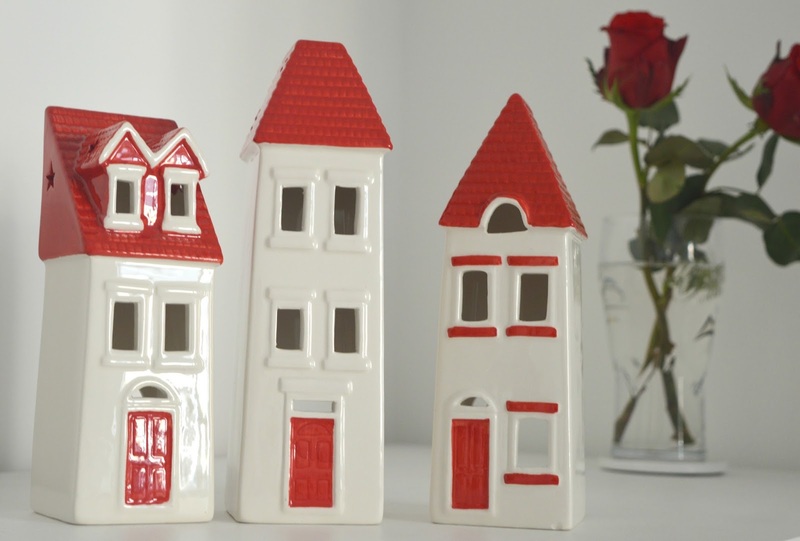 How nice is it decorating your shiny new house?? SO EXCITING! Really cute bits and bobs to bring a bit of character in, obviously I love the dog throw.